Possibilité offerte de faire inscrire un prénom ou des initiales à l'intérieur ou à l'extérieur du sac (en paillettes argentées)! Merci de préciser SANS si vous ne le souhaitez pas! 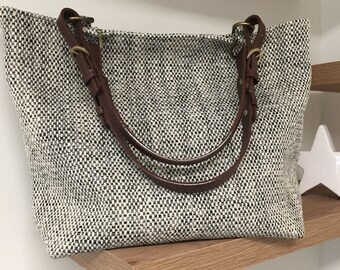 Practical tote bag, large canvas tote bag and leather handles, shoulder bag for everyday use, casual shopping bag...Just a bag! Large but lightweight, it contains an inside patch pocket for small items. A casual and minimalist look, with a hint of "Just a bag" silver glitter on the front. 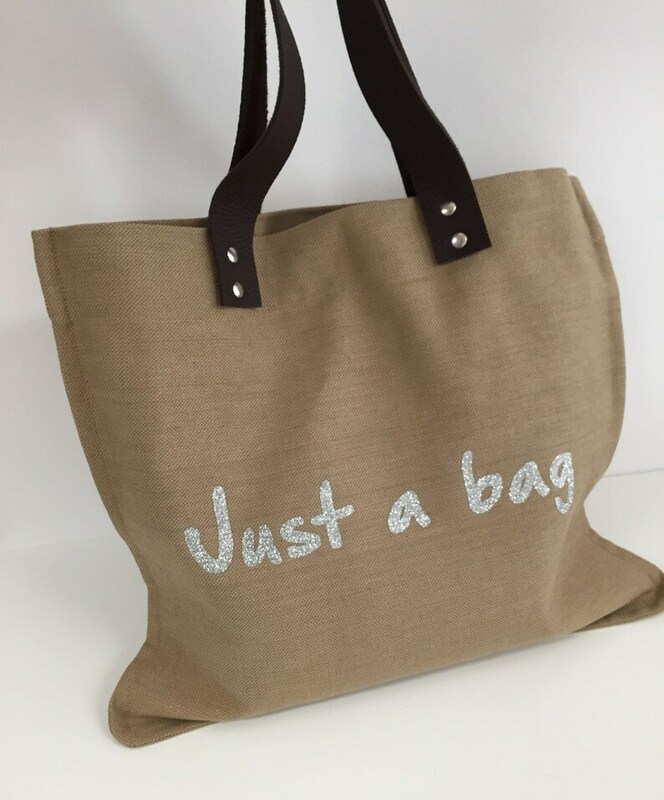 The bag is not lined but the interior finishes are perfect, with no visible seams! The finishing touches of this bag are very careful and, as a professional, I offer you "the satisfied or refunded guarantee"! You will receive it with a parcel number, well protected, nicely packaged, and ready to offer!